P.S. I Still Love You continues right where To All the Boys I've Loved Before ended, and I'm glad. This was a quick and short read. I didn't enjoy this as much as the first book, but all the elements that I loved from the first book are still present - the cute romance, the family bond, being there for others, and the harsh realities of life. I expected a lot from this book, and while it's not a 5-star read, I still enjoyed it thoroughly, given my high expectations. There were still lots of amazing quotes, and the feels were definitely there! I was annoyed at how I was constantly feeling like something wrong was about to happen, which prevented me from enjoying the story as much as I should have. Although, when I read the ending, I finally got why it was so. I really loved Kitty in this book. Sure, she's kinda annoying in that kid way sometimes, but most of the time, she's actually right. She's wise beyond her years and she knows much more than I knew when I was 9 or 10. In this book, I saw that she's equal parts Margo and Lara Jean. Another favorite character is Stormy. I really enjoyed the chapters where she was present. She's strong, independent, quirky, isn't afraid of saying things, and she imparts some great knowledge, albeit being a bit sexist. She's really different from any other grandma I've read of or known, and it's enjoyable reading about her. The ending of this book was not the kind of happy ending that I was expecting, but I am appeased by it. I still felt all the feels, and I felt really connected with Lara Jean. 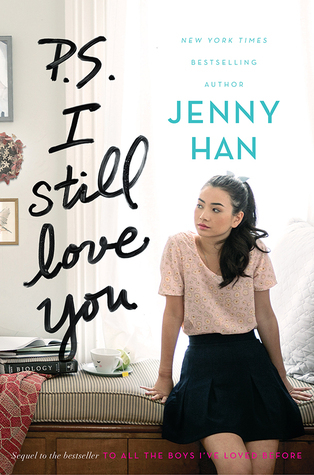 As always, Jenny Han's writing was just amazing! Definitely a must-read!